Stasyx enables companies to do more with their computer systems through consulting, implementation, integration, development and maintenance. Whether your business goals are to increase automation, improve processes, systems and applications – software can be the solution. But software without proper integration can be disruptive to your business. For more than 15 years, Stasyx Software Solutions has helped businesses integrate old with new and adapted the most complicated data systems and latest technologies to help business improve efficiency and profitability. Choosing the right software is half the challenge when it comes to improving business operations. Finance, operations, handling, marketing and other systems require careful integration in order to maximize their value. For most business challenges a cloud-based, out-of-the box solution likely exists. But which solution to choose? Stasyx can assist in researching and selecting the perfect solution for any industry, function or application. Too many software products reach their obsolescence sooner than a business wants to invest in new software. Stasyx can assist a business in adding years to the life of software through ongoing maintenance. Older systems and applications don’t always play well with newer software services. In these situations, Stasyx’s 15 years as a software development company will enable all systems to work in harmony. Stasyx helped a global food industry leader integrate and adapt off-the-shelf software systems with a number of existing in-house systems and enhanced their capabilities with front and back-end integrations to establish a more functional enterprise-wide solution. 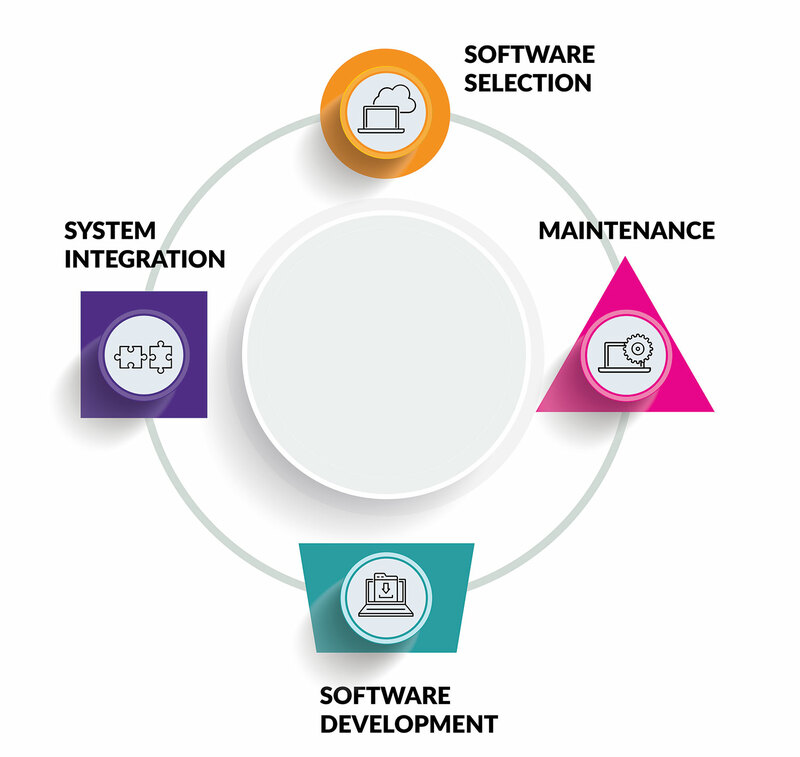 There are literally thousands of out-of-the-box software solutions on the market, each with its own unique integration challenges. These are just a few of our many areas of expertise in which we've affordably created better functionality for managers and employees, while reducing overall company costs. At Stasyx our team is comprised of owners/developers, engineers and support experts. We understand executives and staff because we're executives and staff, too, giving us insight into imperative processes that let your business excel.